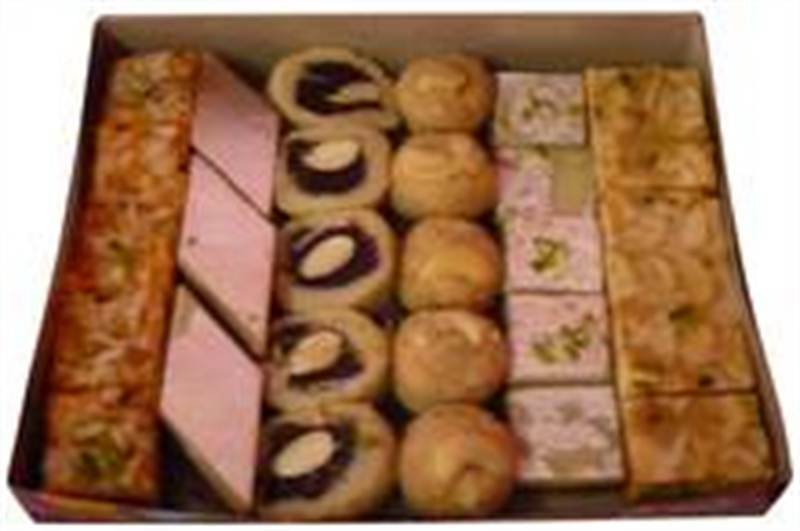 Anmol Sweets brings you a delicious set box as collection of Kaju and Khuwa sweets. The Box Includes: Kaju Fitting Burfy (6p). Khuwa Burfy (5p). Gond Laddu (5p). Chocolate Roll (5p). Khuwa Burfy(5p). Gunpaka (5p).